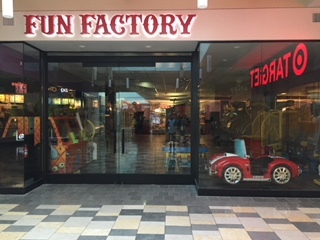 Fun Factory - Westfield Oakridge Mall | San Jose - W. G. Fritz Construction, Inc.
Come check out the New Location of Fun Factory in Oakridge Mall by the Target entrance! The enjoyable and professional experience working with all of the people associated with our customer, Fun Factory, Inc. located in Hawaii, made this project a colorful success! See the vibrant photos in our image gallery!